According to data released today by the Bureau of Labor Statistics, employment in the St. Louis metro area fell by 6,200 in September. The BLS estimates also suggest that employment in September was 9,900 higher than a year earlier. 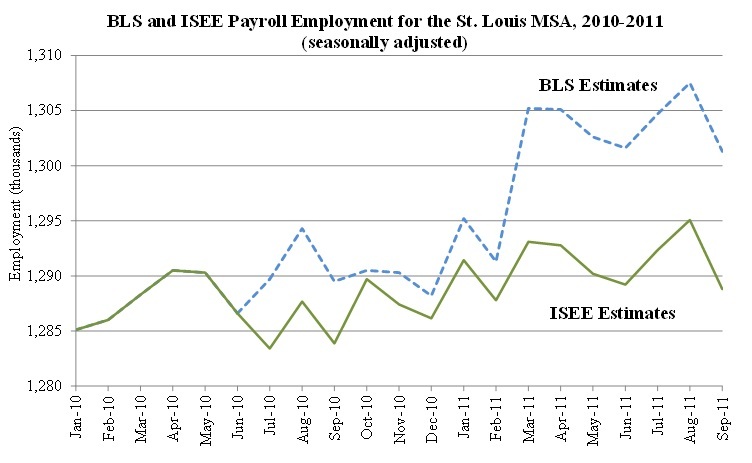 My institute, the ISEE, produces its own estimates of St. Louis employment, which show much weaker employment growth over the past year. Specifically, the ISEE estimates that job growth between September 2010 and 2011 was only 1,300. Go here for more details.